Basket tilter for the hoisting and revolving of part containers. The basket tilters IRUDEX undergo a thorough control in their production process in order to be as rugged and accurate as possible for meeting major requirements as best as possible. Its operation meets strict safety regulations and maintenance is very simple. Hoisting tables for hoisting materials and part containers. 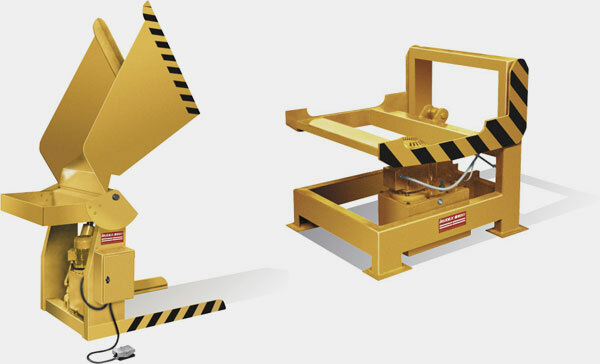 They are used for lifting materials near to work stands, for the undoading of feeding machines, manufacturing lines, etc. In addition, complete material conveying facilities are designed and manufactured, in which basket tilters and hoisting tables are an specific part thereof.